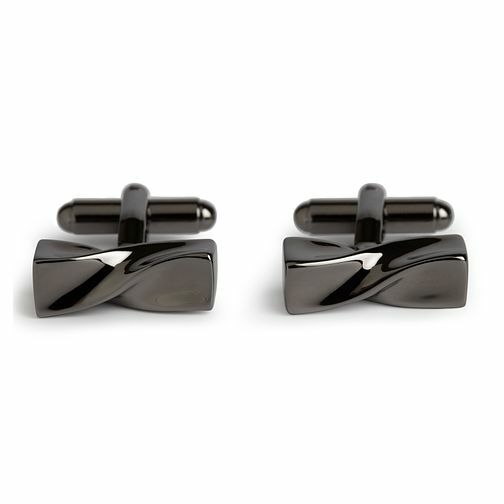 Make a simple style statement with these men's gunmetal cufflinks from Simon Carter. A subtle twist design adds sleek contemporary style, perfect for the modern man in your life. Simon Carter, classic gifts for gentlemen. Simon Carter gunmetal twisted cufflinks is rated 5.0 out of 5 by 1. Rated 5 out of 5 by Anonymous from Beautiful Product, Great price Bought these for my husband to be's grooms men and our Fathers as wedding presents. They're beautiful, so well presented and look unique, especially for the price!